Z23 Evolution Sport Vented Drilled and Slotted Brake Kit by PowerStop®. 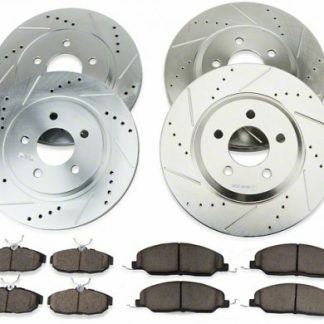 Kit Includes: Evolution Drilled and Slotted Performance Rotors, Z23 Evolution Sport Carbon Fiber Infused Ceramic Brake Pads, Premium Hardware, Pin Bushing Kit and Hi-Temp Lubricant. 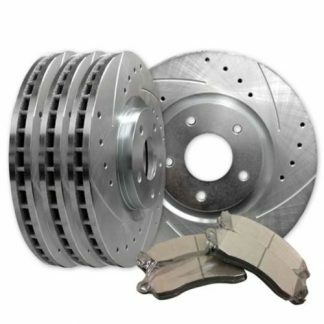 Get superior benefits of ceramic pads and cross-drilled rotors in the PowerStop 1-Click Brake kit. 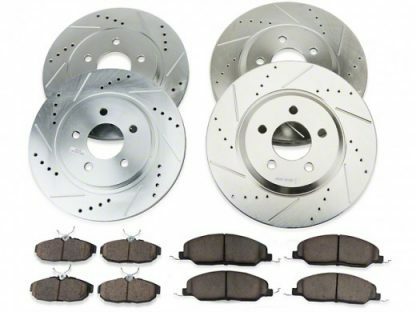 These components are used in street performance and offer better stopping power, longer life, reduced brake fade, and lower dust buildup compared to OE parts. 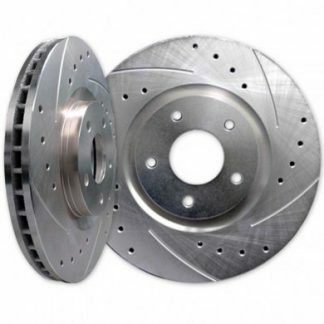 Each component is manufactured to tight tolerances so fit and function is never compromised on your vehicle.